• Wide range of flow rate from 0.1 to 1000 ml/h. • Flexible infusion modes: ml/h, time/volume and weight mode. • Digital programming with large & bright OLED display. • Adapt to 5ml, 10 ml, 20/30 ml, and 50/60 ml syringes from major brands. 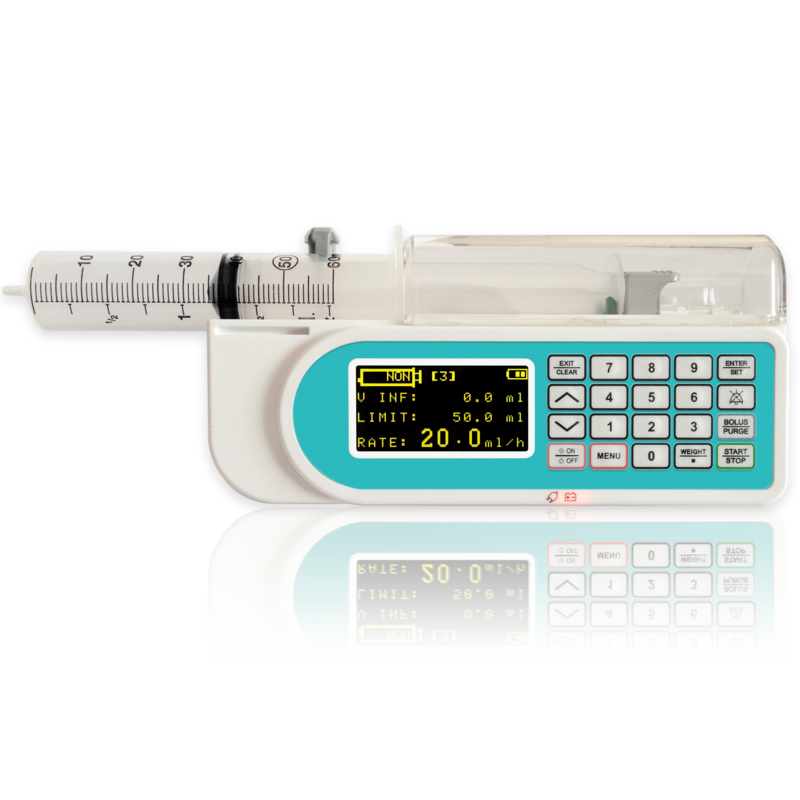 • Micro/Macro infusion rate setting from 0.1 to 1500 ml/h adaptable to adult & pediatric infusion therapy.